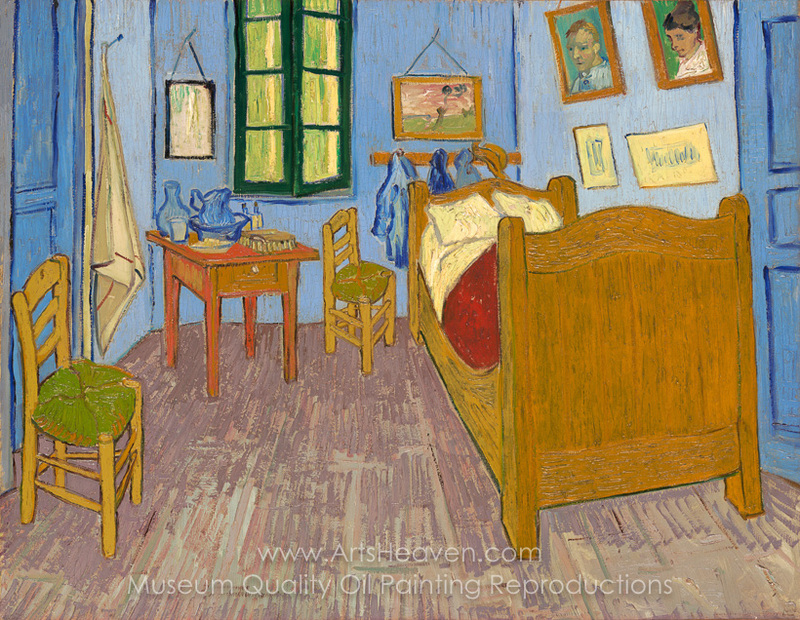 Van Gogh's own title for this composition was simply The Bedroom (French: La Chambre � coucher). There are three authentic versions described in his letters, easily discernible from one another by the pictures on the wall to the right. The painting depicts Van Gogh's bedroom at 2, Place Lamartine in Arles, Bouches-du-Rh�ne, France, known as his Yellow House. The door to the right was opening to the upper floor and the staircase, the door to the left served the guest room he held prepared for Paul Gauguin. The window in the front wall was looking to Place Lamartine and its public gardens. This room was not rectangular, but trapezoid, with an obtuse angle in the left hand corner of the front wall and an acute angle at the right. 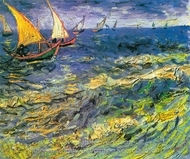 Van Gogh evidently did not spend much time on this problem, he simply indicated that there was a corner, somehow. 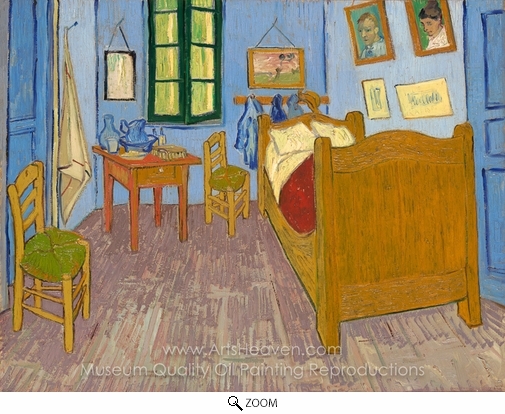 Decorate your home or office with our beautiful museum quality art reproduction of Vincent Van Gogh Vincent Room at Arles (The Bedroom) painting. Why settle for a print, poster, giclee or canvas transfer when you can grace your walls with a genuine oil on canvas painting reproductions for sale at up to 75% below gallery prices. You are commissioning an authentic hand-painted oil painting on quality artists canvas. Painted by professional artists brushstroke-by-brushstroke with attention to all details. Order your Masterpiece today and get Free Shipping to your door direct from our studio.